God's Word's are a healing balm to a heart that has been shattered by grief. The Psalmist declares in Psalm 119:92, "Unless Your law had been my delight, I would then have perished in my affliction." This entire Psalm is dedicated to revealing the power of, and need for, God's Words. Today do you need to be comforted? Counseled? Strengthened? Delighted? Revived? 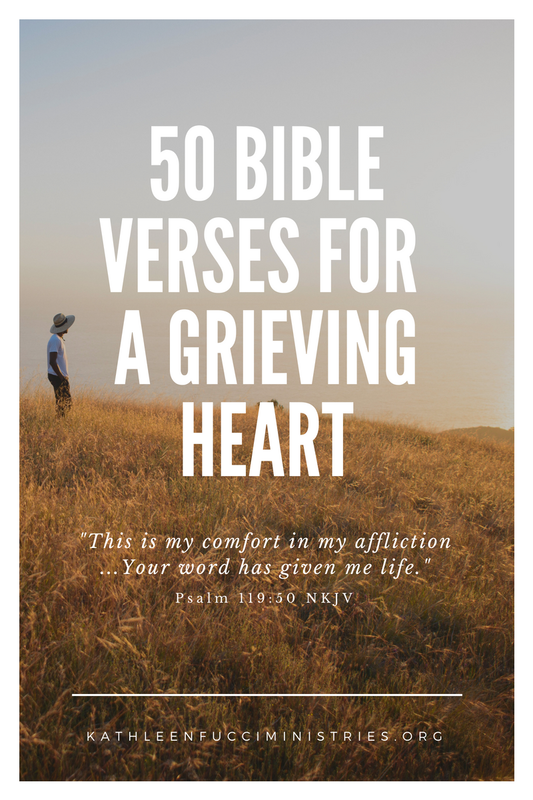 We've compiled a list of 50 Bible Verses to help comfort a grieving heart. May the Lord bless you and strengthen you as read and reflect on His Words.